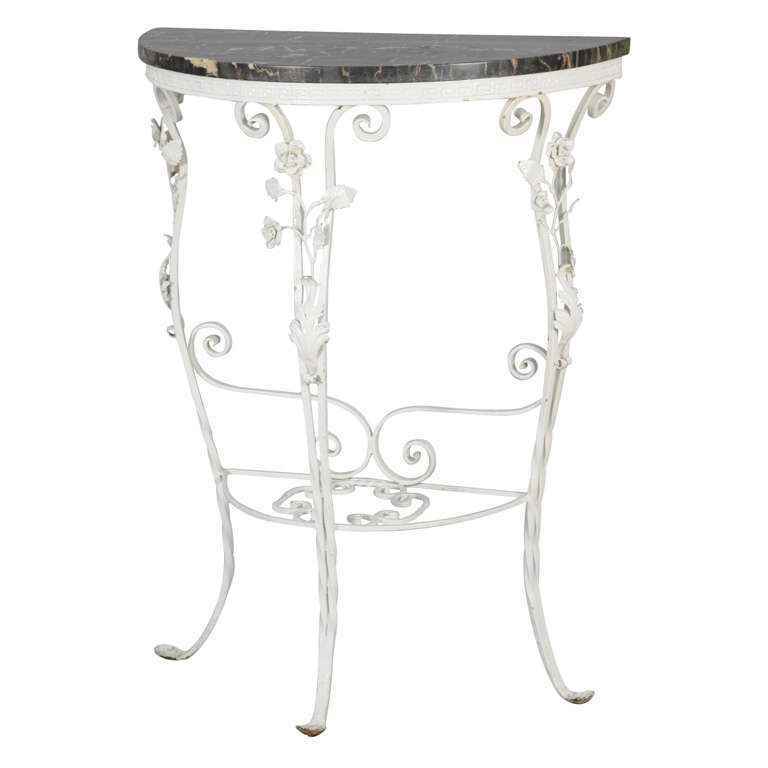 Demilune console table, of iron, having a top of black marble on apron forged with Greek key, raised on three scrolling legs decorated with flowers, joined by D-shaped stretcher adorned with S-scrolls and C-scrolls. CONDITION: Very good condition. Oxidation to iron, minor scratches to marble consistent with age and use. Demilune console table, of iron, having a top of black marble on apron forged with Greek key, raised on three scrolling legs decorated with flowers, joined by D-shaped stretcher adorned with S-scrolls and C-scrolls. CONDITION: Very good condition. Oxidation to iron, minor scratches to marble consistent with age and use.